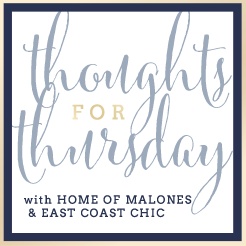 Welcome to the first Thoughts for Thursday of April! I seriously cannot believe it's already April. 2016 is flying by before our eyes. 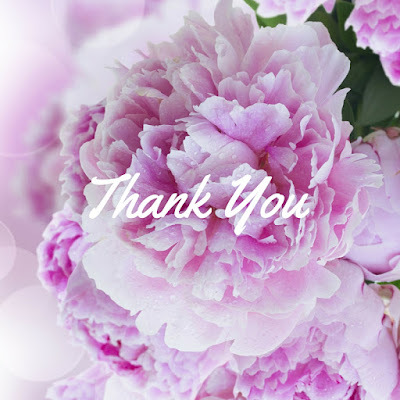 A big thank you to everyone that links up with us and remember you can write about whatever you want. Just grab the button and link up below! - Remember this is the last day to shop the Shopbop friends and family sale! So much good stuff!! You can find all my favorites in this post here. - If you saw my snapchat yesterday we are having some major work done to our yard. I am really really hoping that all this work and money spent will give us plush green grass in a few weeks because it's going to be tough trying to keep the kids and Layla off the yard! - Speaking of that since the yard is unusable we have to walk Layla now to use the bathroom. It's only my second day but I'm thinking I might need to get our neighborhood dog walker to come for the next few weeks and take her on a long mid-day walk while the kids nap since I used to play ball outside with her during that time. I know she's going to go stir crazy without a big walk or playing ball. - My house is so unorganized right now and I'm going absolutely crazy! Closets are currently out of control and our basement storage area is awful. I hate even going in there, it's so bad. I'm going to start today and try to go room by room, closet by closet and clean out and organize. We have so many boxes we haven't even unpacked from our move that makes me believe we probably don't even need that stuff. We're gearing up for our big community yard sale in a few weeks and would love to be able to get rid of some significant things we've been holding onto for too long. - Does anyone have any good smoothie recipes for kids? My kids hate fruit in it's actual form but will eat fruit squeeze pouches or smoothies. I just feel like we're in a smoothie rut and they're getting tired of them so I would love some new ideas. - I made these lasagna rolls ups the other night from Cooking Classy and they were a huge hit in our house, meaning the kids ate them too! They were so easy to make and re-heated well the next day for leftovers. - Are you all watching Southern Charm?? OMG such a hot mess!! I just can't even with the cast this year! Ahh southern charm. My favorite! It's such a disaster I can't wait to watch it all unfold! Girl I understand it's so hard to keep up with the blog when you are a mother of 2 and have so much going on! No need for apologies there! That seems like a big project going on in your yard, but I'm sure it will be all worth it once it's finished! Camden loves fruit (like would only eat fruit and carbs all day if he could), so I'm no help there but he loves banana berry smoothies. I usually throw in some spinach so he at least gets some greens. And Southern Charm is redic this season!! It's hard to believe it's already April for me too. I haven't seen Southern Charm, I keep meaning to watch it though. Bravo has a new show coming out in like a week called There goes the motherhood, that looks pretty good too! I can relate to feeling disorganized! I got all of my spring and summer clothes from my parents house on Easter weekend and they have just been sitting in bags on our bedroom floor. I've pulled a few things out, but need to go through this weekend and try everything on, purge, and get it organized in my closet and dressers! I completely understand what you are going through balancing being a momaa, wife and a blogger. Everything takes so much time and attention and there is only one of us. Glad to see you back at it again. We love smoothies! Handful of frozen strawberries, an orange, a banana (frozen or fresh), and we even throw in some spinach sometimes. Then I just add some milk (regular or almond)... About 1/2-1 cup of it, depends on consistency. It not using frozen fruit, add in some ice cubes too. We love it! Just pinned those lasagna roll-ups! They look delicious! Could not have said it better myself - Southern Charm = hot mess!